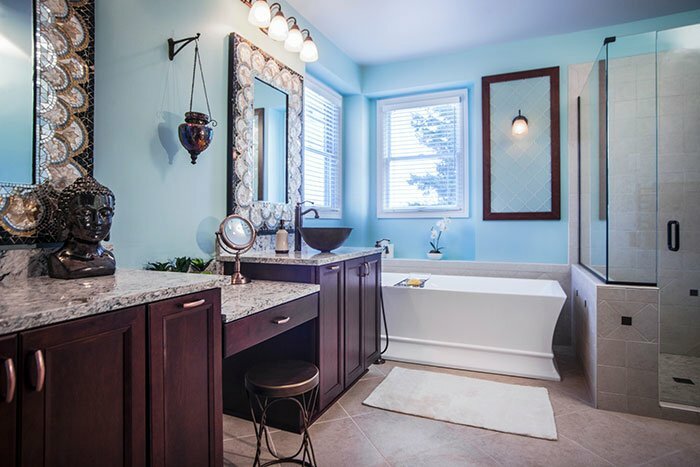 Curious about what you can achieve as a DreamMaker® Bath and Kitchen remodeling franchise owner? Have a look at our Franchisees of the Year, Bob Ender and Lee Willwerth of DreamMaker Ann Arbor. In their industry-award-winning remodeling franchise, they’ve achieved strong margins and quality of life while providing award-winning service to clients, and we’re proud to call them a part of the DreamMaker family. 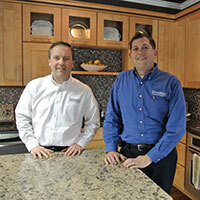 Lee Willwerth and Bob Ender inside their DreamMaker Bath and Kitchen Design Center in Ann Arbor, MI. DreamMaker wasn’t always in the plans, but once they started exploring our home improvement franchise opportunity, Willwerth and Ender felt it would be the right fit. Any business also needs to make money, and for the Ann Arbor team, that’s helped them provide a great quality of life for themselves and their team. This year, the Ann Arbor team also won a Regional Contractor of the Year award from NARI and a client-satisfaction award from GuildQuality. That family extends from their own franchise team throughout the entire DreamMaker system. Joining DreamMaker means having access to a national network of talented, hard-working individuals whose advice and support can help you get even more out of your business. Through events like our annual DreamMaker Reunion or our Next Level Groups where franchisees tour each other’s businesses, owners are a tight-knit group who are always willing to share thoughts, ideas and experiences. That’s unique in the remodeling industry; even when independent owners network with each other, they sometimes hold back to avoid giving away too much info to the competition. As part of DreamMaker, other owners are interested in your success, as well, because everyone wins when our network grows. For in-depth details about becoming a DreamMaker remodeling franchise owner, download our franchise information report and start a conversation with us. You also can learn more by visiting our research pages.